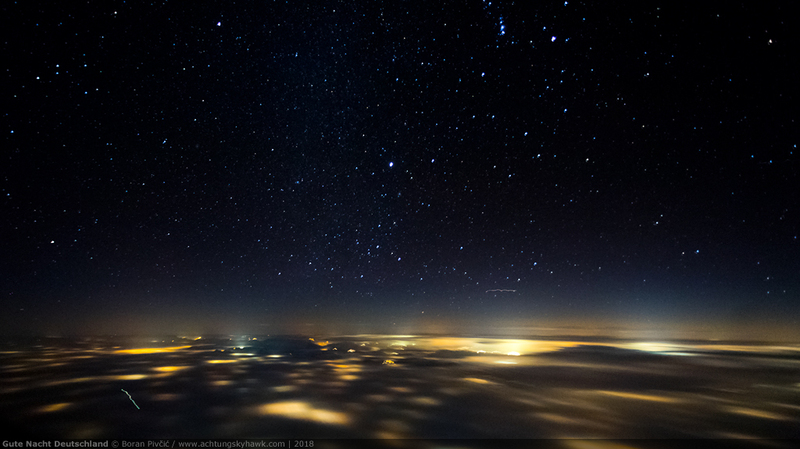 Photo File – The View From Up Here + Rare Aircraft Intermezzo | Achtung, Skyhawk! 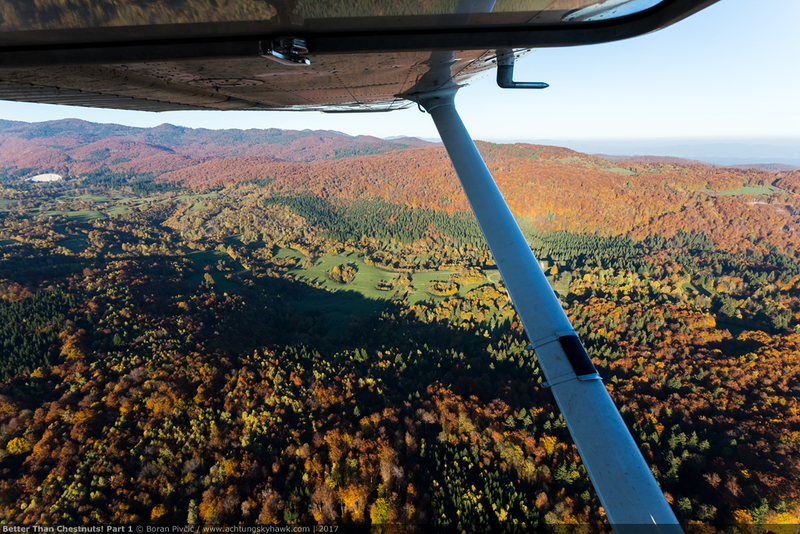 Those wonderful autumnal pleasures: a light aircraft, a deep anticyclone, an open window – and a full spectrum of colors outside. 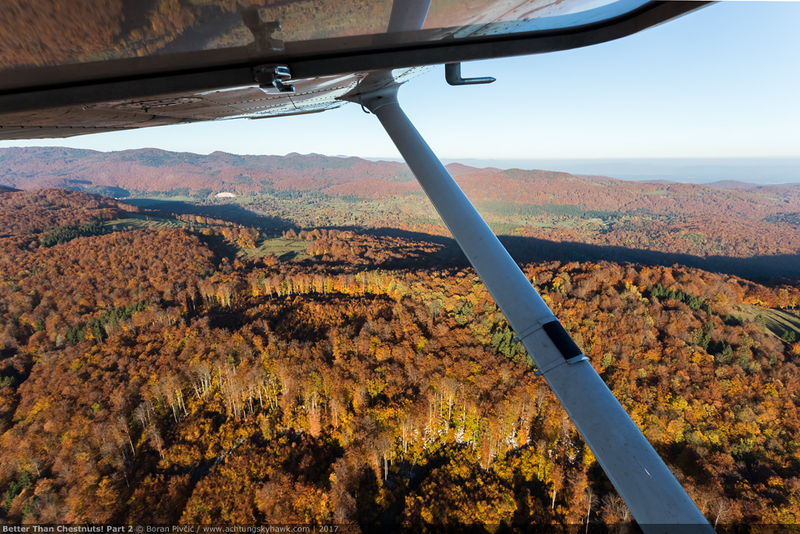 Enjoying the calming and serene view as we hop between the peaks of southern Slovenia’s Kočevje Hills – in years past, interestingly, a strongly-enforced no-fly zone due to the proximity of a major Yugoslav People’s Army military installation. Winter is definitely not coming (despite it being December) as our little red Citabria zips past two of Pula, Croatia’s most notable landmarks: the Kaštel medieval Venetian fortress – and the Arena, one of the best-preserved amphitheaters in this part of Europe (even today the country’s most popular concert venue). The moment you realize that no, you cannot keep up with the sun in a turboprop, and that it’d be best to just return back to course. 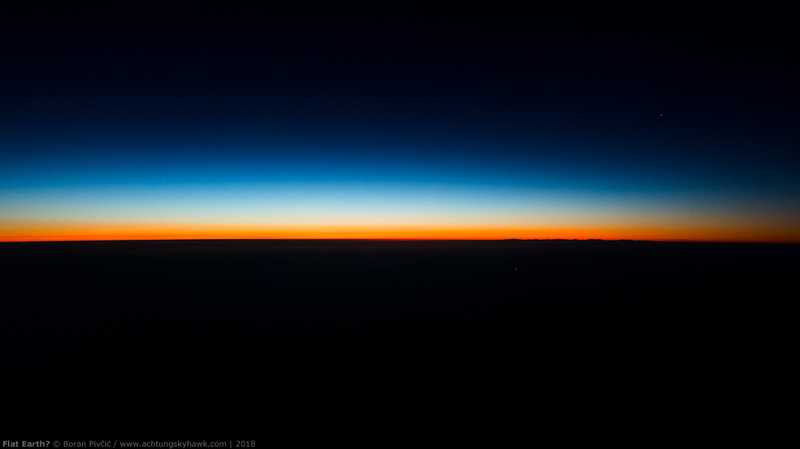 Another deep anticyclone, a quick vector by ATC to clear us of traffic nearby – and just a tiny bit of luck and timing is all you need to make a sunset aloft all the better! A transit of southern Germany under unbelievably clear skies – or a cheap knock-off of the Universal Pictures opening animation? You decide! Despite having given us such classics as regulation governing the size and shape of cabbage heads, the spiritual capital of the EU – Brussels (BRU/EBBR) – still does have some good use… for where in Europe could one so easily stumble upon a VIP Mad Dog from – of all places – Chad? 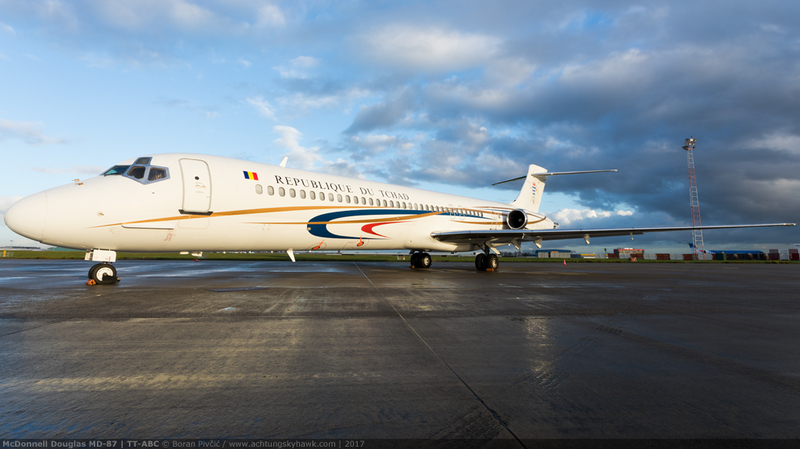 At one time operated by Austrian Airlines as OE-LMO, TT-ABC is one of several jet aircraft owned by the Chad Gov’t, and is – sadly – rarely to be seen outside the Francophone world. 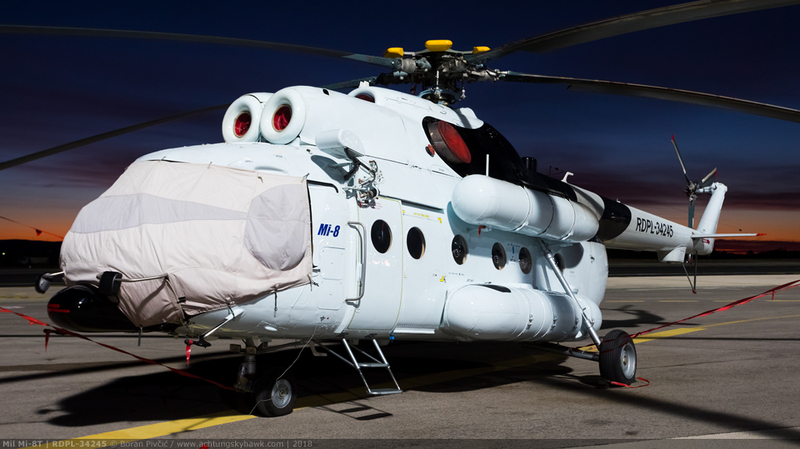 And talking about taking wrong turns: an Mi-8 from Southeast Asia on the Adriatic Coast. 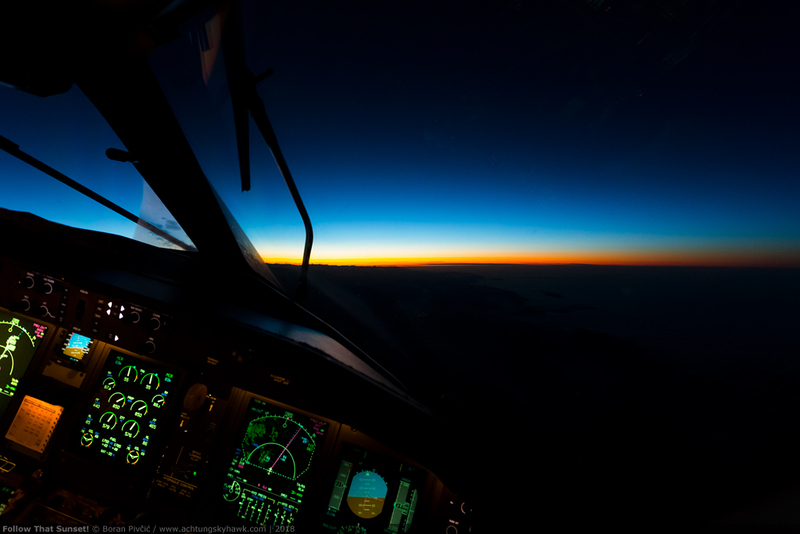 Flying from Laos to Croatia – 8,500 km as the crow flies – in a 20+ year old Mi-8 at speeds barely above 100 knots, the crew surely must have some fascinating stories to tell! 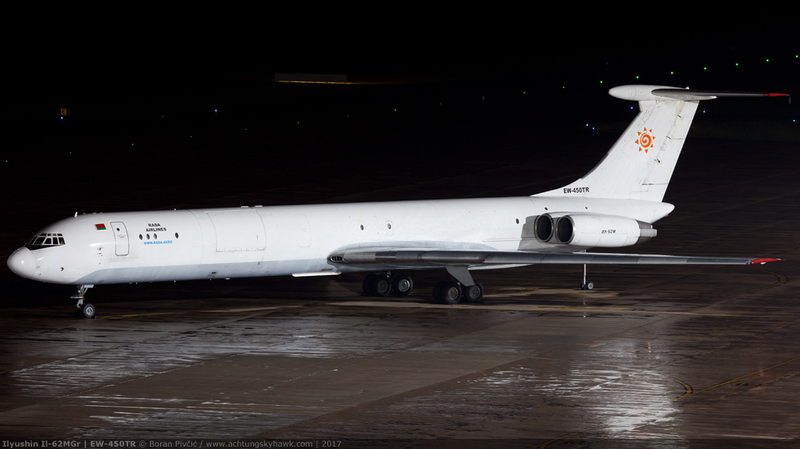 Interestingly, 34245 had flown into Zadar (ZAD/LDZD) direct from Brest in Belarus (BQT/UMBB), some 1,100 km away – a hop made possible thanks to long-range tanks mounted on top of the fuselage. Indeed, Zadar would turn out to be just a technical stop to top up with fuel and get some shuteye; 34245 would be seen departing for Palermo (PMO/LIPJ) already by noon the same day. Note also the absence of the Mi-8’s characteristic dust filters on the engine intakes, usually characteristic of early civilian members of the Hip family. 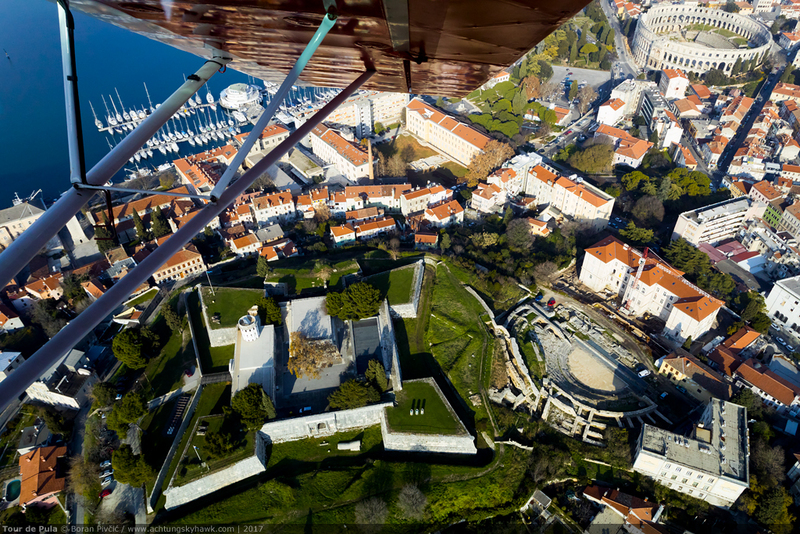 Great view of Pula castle. Also the “little arena” just below it……..hard to see its shape from the ground!